Empty Green 2 Card - now you can store up to 10 cards into 1 without any problem ! This cards works also with our TiVald Sim Interface. 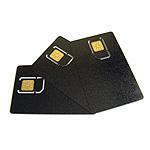 Green2 Card has prepared "cut-out" for GSM cellular phone. Silver Card - now you can store up to 8 cards into 1 without any problem ! 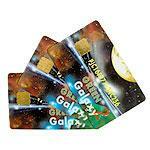 Silver Card has prepared "cut-out" for GSM cellular phone. 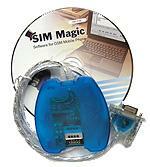 Not only a GSM Phonebook/SMS/RingTone Editor, but also supports SIM Backup function as SIM-R/W 2x. Sim Master 4 (USB) - Sim Card Editor. 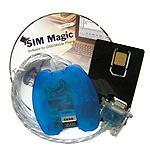 SMS, Phonebook, PIN Management, SIM Backup. Not only a GSM Phonebook/SMS/RingTone Editor, but also supports SIM Backup function via PC USB port. 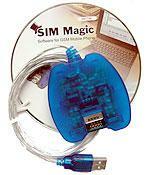 Sim Master 4 KIT - you can clone or back up to 8 cards into 1 Silver card (in complete) using this device. Also phone book reading, SMS editing and PIN management !